Water dispensers are a stylish and simple solution to your drinking water needs at the office or place of business. These well-designed water dispensing and water cooling units are a great alternative to traditional floor-standing models, where space floor is valuable and cannot be allocated for a floor-standing water dispenser. 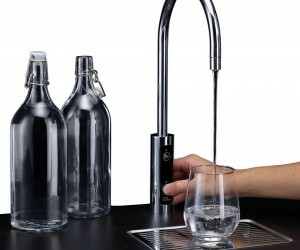 Just like standing models, countertop water dispensers can also be connected to your water supply and fitted with a water filter cartridge for cleaner, contaminant-free water at a touch of a button. Why Choose a Mains Fed Countertop Dispenser? If you don’t have enough floor space to install a standing model or if a standing unit just simply doesn’t go with the decor of your place of business, a countertop model will fit nicely on your office kitchen counter. You can choose from many colour variations with grey and black or off-white colours being the most popular and offer your employees or clients chilled, ambient, hot or even sparkling water. A mains fed water cooler can be easily fitted with a water filter, so you can drink freshly filtered water and not worry about bottle changes ever again or worry about water contamination issues. An endless supply of clean water offered by a unit that meets space constraints is an ideal for anyone looking for sustainable hot, cold, or sparkling water dispenser. Why Choose a Bottleless Dispenser? There’s a risk of running out of water if orders are not placed in time. A mains fed, bottles dispenser on the other hand is much better for the environment, plus you never have to worry about running out of water. 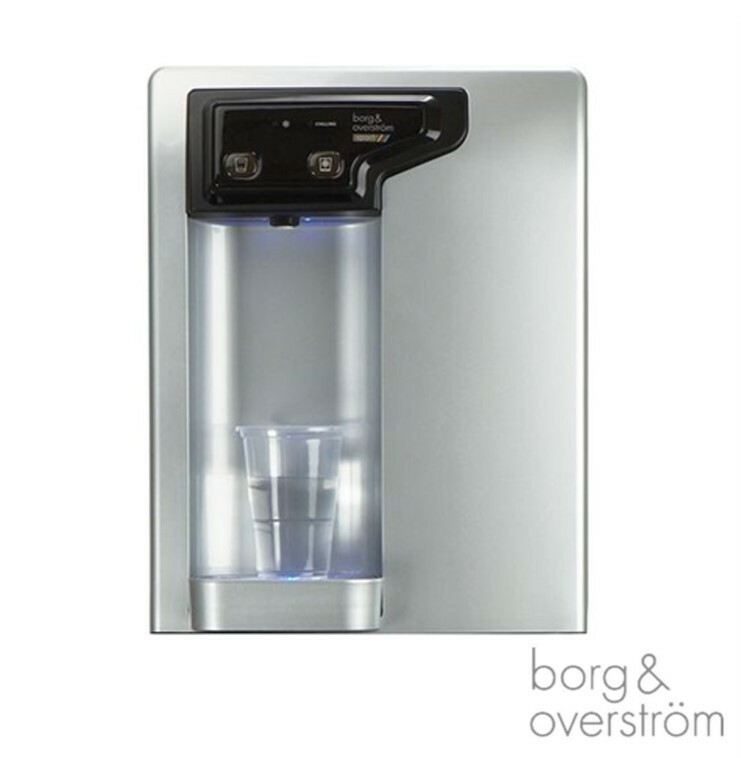 Our selection of bottleless water dispensers from the Scandinavian manufacturer Borg and Overström bring variety, simplicity and excellence to your office water dispenser. Customizable and/or upgradable with optional features like the leak detector system, wall fix system, installation kit, etc. Built-in thermostat allows you to chill water down to 7 degrees Celsius and heat water up to 90 degrees Celsius. Therefore, if you’re looking for a water cooler/dispenser that’s compact, sophisticated and sustainable, check out our selection of water coolers. Why a Dispenser Instead of an Undersink Filter? An undersink filter can also be a good choice for your office kitchen, especially if you don’t want anything sitting on your countertop or if you have more space under your counter. An under counter water filter can offer you unlimited filtered water when you turn on the tap, however, unlike a water cooler, it cannot offer you near-boiling hot water, chilled water or sparkling water. If these are not important to you and you simply want ambient filtered water straight out of the tap, a mixed media filter system like the Osmio 2 Year 6 Stage Under Counter Water Filter System can easily meet these requirements. This filter is fitted with a single long-lasting filter cartridge that features mixed filter media and targets a variety of contamination issues from chlorine to heavy metals. The filter is dispatched with a filter tap that must be installed in addition to your existing kitchen tap, or if you don’t find this an aesthetically pleasing solution, you can upgrade to a 3-way kitchen tap that replaces your existing kitchen tap. Therefore, an undersink filter system can be an easy, elegant and cost-effective alternative to a water dispenser if chilled, hot and sparkling water are not a requirement for you. What to do when a standing model is out of the question, but you don’t like the idea of a countertop model either, and filter won’t offer you chilled water? Don’t worry, we have a solution for you and that’s an under counter water chiller like the one manufactured by Zerica, the Zerica Refresh U80 Undersink Water Chiller. This water chiller fits under your sink, connects to your mains water supply, and offers chilled water at temperatures between 9 and 13 degrees Celsius (you can set the temperature) at 19 litres per hour capacity. Yes, but what if you wanted sparkling water on tap too? Is that even possible? Well, we’re happy to report that it is, and it’s made possible by the Borg and Overström U1 Undercounter Chilled, Sparkling & Ambient Water System. This is a high-end, extremely stylish model for those who want nothing but the best and the most elegant solution for their office. This discrete system has an undercounter unit that’s compact and stays out of sight and a swan neck tap fitted with push buttons for chilled, sparkling and ambient water. Our water dispensing units are as diverse and complex as they come, meeting all your water requirements regardless of how complex or sophisticated they are. Whether you need a countertop dispenser, a floor standing dispenser, a simple under counter water filter, or a high end under counter water chiller, you’ll surely find what you’re looking for in our web shop.